Hampton Court Palace is a truly beautiful and magical wedding venue offering simply breath taking surroundings including, immaculately kept lawns, stunning fountains, beautiful flower gardens, tranquil walled gardens, a staircase that will leave you and your guests stunned by it’s beauty and splendour, gorgeous stone archways and a stunning facade that will be the show stopper for both you and your guests on arrival. It's the ideal backdrop for beautiful documentary wedding photography. Imagine driving up to the grand facade of this beautiful palace offering a long and sweeping driveway, the perfect back drop for your London wedding photos. 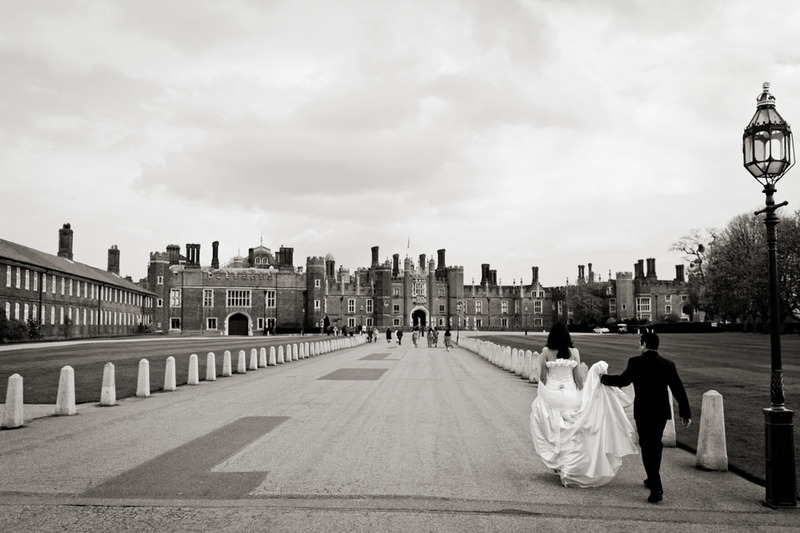 Steeped in centuries of royal history, Hampton Court Palace has stunning historic architecture both inside and out making this the ideal setting for your wedding day and to capture those extra special wedding photographs spent with family and friends. 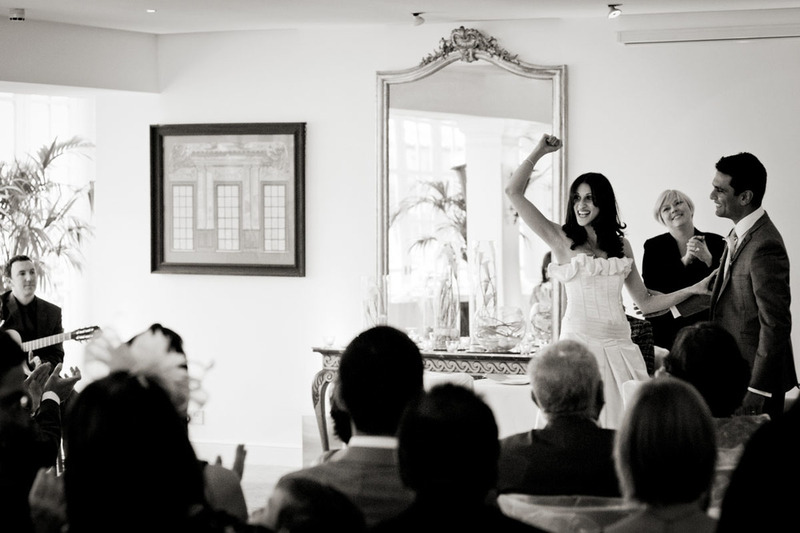 Whether you're looking for a lavish wedding celebration or something a little smaller and more intimate, Hampton Court Palace can cater for both in either its stunning rooms available for your wedding ceremony. The large and extravagant Garden Room can hold up to 200 guests whereas the smaller Banqueting Hall can hold up to 50 guests. However, if you are just looking for a place to hold your wedding celebrations, Hampton Court Palace can also offer you The Great Hall which is the grandest and most spectacular of the rooms available to hire. It can hold up to 400 guests and is also England’s last remaining medieval hall. What an incredible place to celebrate with family and friends under its magnificent ceiling.